Lake Esau is known locally for its crystal clear water and beautifully forested shoreline. 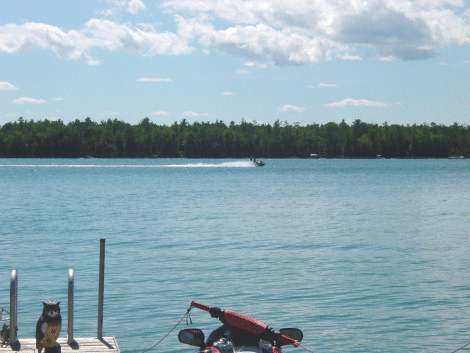 Located between Grand Lake and Lake Huron on Kauffman Blvd, it features a paved access to the DNR boat launch. Fishing is good summer and winter, with species such as perch, walleye and small-mouth bass waiting to be enticed! Swimming, boating, sailing or just hangin’ out are popular summertime activities.